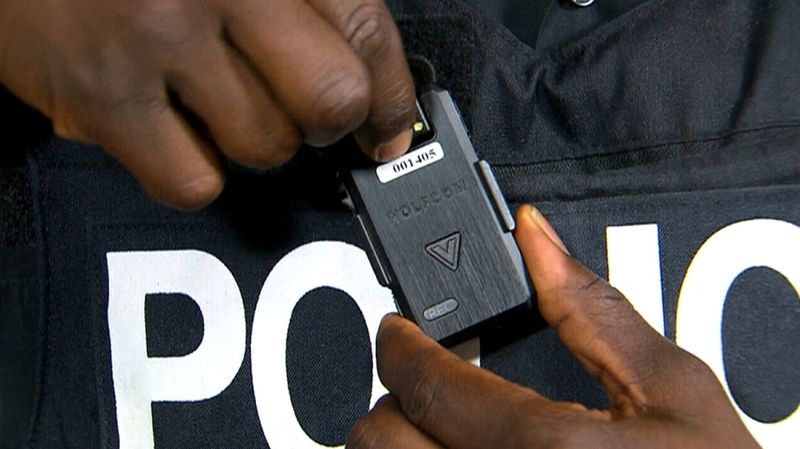 It's show time for select members of the Toronto Police Service, as Monday marks the official launch of a body camera pilot project for 100 officers in the city. Officers wearing body cameras will be required to switch them on before interacting with the public, in an initiative meant to promote transparency and safety for police and members of the public. The body cams will record audio and video data that will later be uploaded to a central server at police headquarters, where it will be stored for one year. The body cameras will be worn by members of the TAVIS Rapid Response Team, Traffic Services Motor Squad, Primary Response Unit at 55 Division and Community Response Unit at 43 Division. Toronto Police Association President Mike McCormack says officers support any measure that will reduce stress and make their jobs safer. 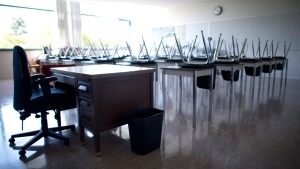 "We need the public trust and policing trust to get our job done," McCormack told CTV News Channel on Monday. McCormack called the $500,000 project an "expensive" venture that will require a thorough cost-benefit analysis once the data starts to come in. But for now, he says he's in favour of it if it helps officers do their jobs. McCormack pointed out that with the widespread availability of cellphone cameras, officers are already being recorded on the job. "All of our officers are used to being videotaped anyhow," he said. McCormack says the main concern for officers is that camera use will be "diluted" and used as a management tool to "spy on officers." "It is quite a broad project with lots of little intricacies that we're going to have to figure out," he added. Officers wearing body cameras will be required to inform members of the public that they are being recorded during any interaction. The pilot project follows on the heels of similar initiatives in the United States, where police have been involved in several shootings involving unarmed black men. The project also comes two years after the death of Sammy Yatim, who was shot by Toronto Police officers on a streetcar in 2013. Yatim was holding a knife at the time. McCormack says he expects data gathered through the body cam project will be different from data gathered from similar ventures in the United States. "What happens in the United States as far as policing, culturally, is vastly different than what we're doing up here in Toronto," he said. He cited Oakland's use of body cameras as the nearest comparable to what Toronto is doing. Toronto Police are also looking for feedback on interactions with officers wearing body cameras. Commenters are invited to share their experiences by emailing BWC.FAQ@torontopolice.on.ca. "We believe body-worn cameras are a valuable piece of technology and will provide an unbiased, accurate account of our interactions with the public," Toronto Police Staff Supt. Tom Russell said on Friday. An officer shows off one of the lapel-mounted body cameras that members of the Toronto Police Service will wear as part of a pilot project during a press conference on Friday, May 15, 2015. 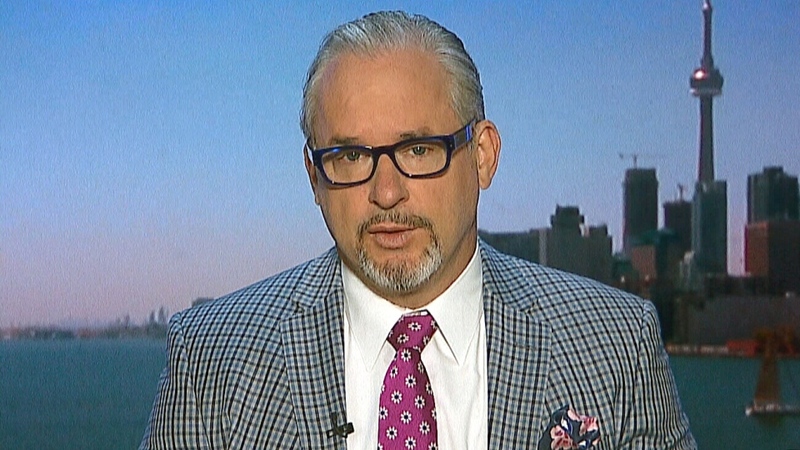 Toronto Police Association president Mike McCormack appears on CTV News, Monday, May 18, 2015.